The All Progressives Congress candidate, Mr. Lawan Gumau, has won the Bauchi South Senatorial District bye-election, held on Saturday. Announcing the result in Bauchi on Sunday, the Returning Officer, Prof. Ahmed Sarkin-Pagam, said Gumau scored 119,489 votes to defeat eight other contestants, among them, the immediate past governor of the state, Mr. Isa Yuguda of the Green Party of Nigeria, who polled 33,079 votes. He said other candidates were Haruna Ayuba of ADC who garnered 1,754 votes; Aminu Tukur of APP who scored 11,717 votes; Usman Hassan of KP with 240 votes; and Huseini Umar of NNPP who scored 22,896 votes. The Returning Officer gave the scores of the remaining candidates as Usman Chaledi of PDC, 1,203 votes; Ladan Salihu of PDP, 50,256 votes, and Mrs. Maryam Begel of SDP, 3,800 votes. He said a total of 256,763 votes were cast, out of which 245,652 were valid and 11,111 invalid. 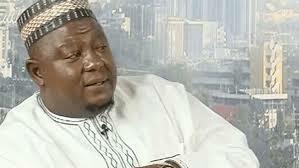 The News Agency of Nigeria reports that the bye-election was conducted to elect a representative for Bauchi-South Senatorial District, sequel to the death of Senator Ali Wakil on March 17. With the outcome of the bye-election, APC in Bauchi now has only one senator because the other two, Isa Misau and Nazif Gamawa, formerly of the APC, have defected to the PDP.